Google has tried so many times to make Android a friendly experience for tablets. The company started to shift away from Android tablets and focus more on Chrome OS. On bigger displays, Chrome OS is a better experience than Android, but it still lacked some basic things that were already available on a mobile platform. Touch support was also pretty terrible. So, Google decided to keep improving it and started adding features from Android. Chrome OS 67 adds more of those features, many of which have already been rumored and leaked. Without further ado, let’s break them down. Chrome OS has been lacking ADB support for a really long time. Our team member first noticed commits about ADB back in March. This will help developers debug their Android apps on Chrome OS. To activate ADB support, first, you need to enter Developer Mode. We have instructions just for that right here. Please keep in mind that entering Developer Mode erases all data from your Chrome OS tablet. In 2017, Google announced that it’d phase out support for Chrome apps on Windows, Mac, and Linux in favor of Progressive Web Apps. Seems like the search giant just took the next big step for adopting PWAs. Until now, enabling those apps required toggling development flags for App Banners, Experimental App Banners, and Desktop PWAs. In Chrome 67, this is no longer required as installing Progressive Web Apps is now enabled by default. Chrome OS was designed primarily for laptops, which means it has lacked proper touchscreen support. Tapping on small things, selecting text, and other actions was a bit hard to perform. Chrome OS 67 fixed that problem by adding a touch-friendly design. It was previously available as a developer flag and you could enable it with top-chrome-md toggle. But you may have figured out already that it was a developer flag for a reason. It was an unstable and unfinished feature. Then, a couple of days ago, a new flag, ‘uifood’ appeared. The “Touchable design” toggle got updated as well. The new flag was supposed to enable the completely redesigned version of Google Chrome, but it didn’t do much. It was meant to add you to the early testers list. New touchable Material Design 2.0 is now available in Chrome 67. This new addition will definitely make your experience better as you won’t have to tap on the same little place a couple of times. Pretty neat. As I already mentioned before, despite Android being a touch-first OS, it still isn’t the best experience for tablets. 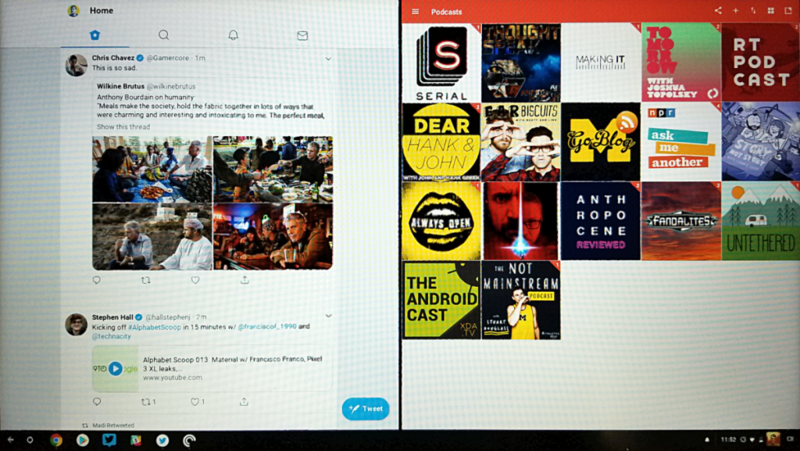 The system gained split screen support back in 2016 with Android Nougat. Up until now, Chrome OS has been lacking that feature, making a tablet experience a little bit worse than we wanted it to be. Like other features in this article, the feature was available in Dev Channel via toggling the “enable-tablet-splitview” flag. But, again, like others, it was buggy and unstable. 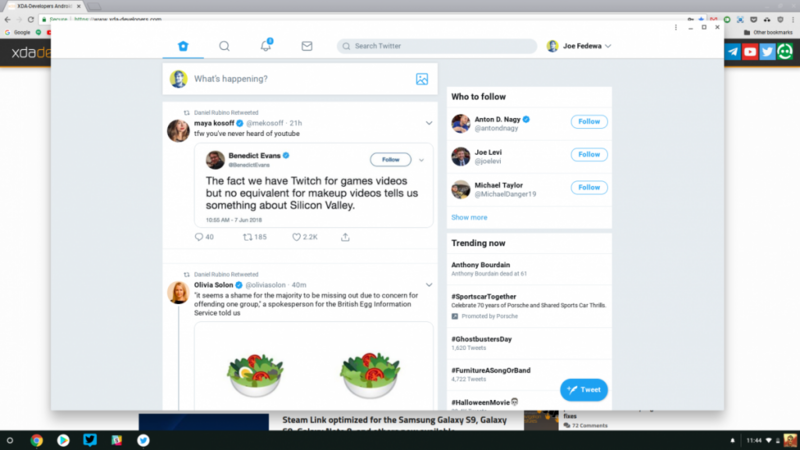 Now tablet Split Screen mode is enabled by default in Chrome OS 67. This will definitely improve tablet support for Chrome OS. Chrome OS 67 (67.0.3396.78 to be precise) is already available for download on the stable channel. Just go to your Chrome OS device’s settings and check for updates. Give it a try and let us know what you think.